We have been flying swarms in our office plenty of times. There is kind of a limitation to this though, our flying space is only around 4 x 4 meters. Flying 8 – 10 Crazyflies in this space is challenging and it is hard do make it look good. Slight position inaccuracy makes it look a bit sloppy. To mitigate this we decided to have a small swarm show using a a bigger flying space and to invite families and friends, just to raise the stake a bit. As usual we had limited time to accomplish this, and this time the result should be worth looking at. Well, we have managed to pull off hard things in one day before so why not this time… The setup is basically a swarm bundle with added LED-rings. Kristoffer took care of the choreography, Tobias setting up the drones and Arnaud configuring the Loco positioning system. Kristoffers pre-Bitcraze history involves some dancing and he has been playing a bit earlier with the idea of creating choreographies with Crazyflies. One part of this was a weekend-hack a few months back when he tried to write a swarm sequencer that is a bit more dance oriented. The goal was to be able to run a sequence synchronized to music and define the movements in terms of bars and beats rather than seconds. He also wanted to be able to define a motion to end at a specific position at a beat as opposed to start on the beat. As Kristoffer did not have access to a swarm when he wrote the code he also added a simple simulator to visualize the swarm. The hack was not a complete success at that time but turned out to be useful in this case. The sequences are defined in a YML file as a list of time stamps, positions and, if needed the color of the LED-ring. After a few hours of work he had at least some sort of choreography with 9 Crazyflies moving around, maybe not a master piece from a dance point of view but time was running out. The simulator is super basic but turned out to be very useful anyway (the color of the crosses indicates the color of the LED ring). We actually never flew the full sequence with all drones before the performance, but trusted the simulation to be accurate enough! We did fly most of the sequence with one Crazyflie, to at least make it plausible that we got it all right. Handling swarms can be tedious and time consuming. Just making sure all drones are assembled, fully operational and charged is a challenge when the number increases. Tobias decided to do manual flight test of every drone. If it flies well manually it will most likely fly well autonomously. The testing resulted in switching out some motors and props as vibrations is a crippling factor, especially for Z accuracy. Takeaway from this exercise is to implement better self testing so this can be detected automatically and fixed much quicker. We ran the positioning system with standard firmware in TDoA mode to support multiple Crazyflies simultaneously. 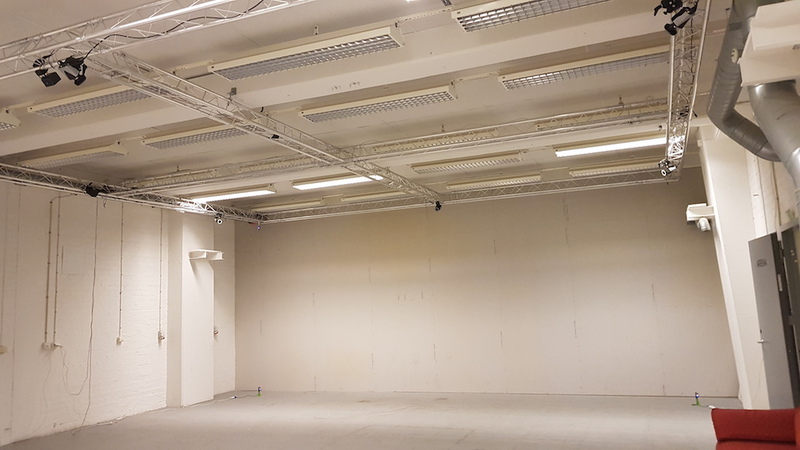 The mapped space was around 7 x 5 x 2.5 meters and the anchors were placed more or less in the corners of the flying space box. The audience (families and friends) was enthusiastic and expectations high! Even though not all drones made it all the way through the show, the spectators seemed to be duly impressed and requested a re-run. It is now the first day in 2018 and a good day to look back at 2017. Its been a busy year as always and we have had a lot of fun during the year. One of the first things popping up is that things takes so much longer then we think. Luckily we are working with open source and the progression is not only dependent on us as we have awesome help from the community. We are already really excited about what’s coming in 2018, looking forward to working together with so many great people! The Crazyflie 2.0 is still gaining attention and are becoming more and more popular among universities around the world. We see interest from researchers working with autonomous systems, control theory, multi-agent systems, swarm flight, robotics and all kinds of research fields, which is really great. This means that a lot of exciting work have been contributed by the community, so here is a small summary of what has happened in the community during the year. 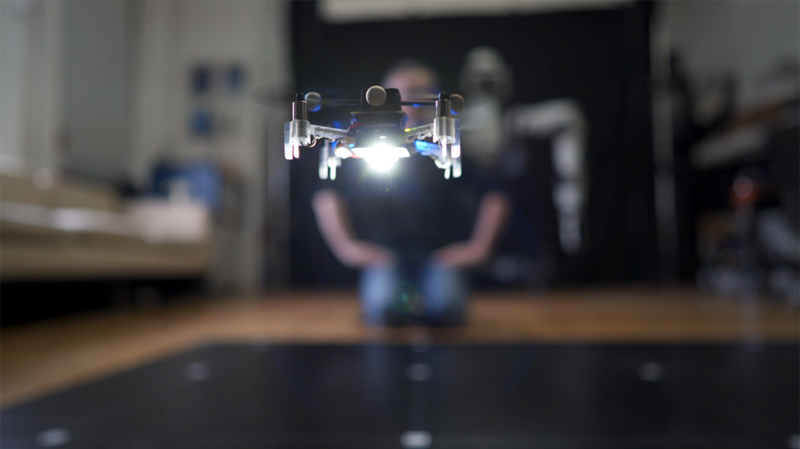 In the beginning of the year the Multi-Agent Autonomous Systems Lab at Intel Labs shared how the Crazyflie 2.0 is used in their research for trajectory planning in cluttered environments. We wrote a blog post about this if you want learn more about their work. The Crazyflie showed up on the catwalk of Berlin Fashion week being part of fashion designer Maartje Dijkstras futuristic creation TranSwarm Entities”, a dress made out of 3D prints accompanied by autonomously flying Crazyflies. For the third year Bitcraze visited Fosdem. We had a good time and got to hang out with community members like Fred how did a great presentation about what’s new in the Crazyflie galaxy. 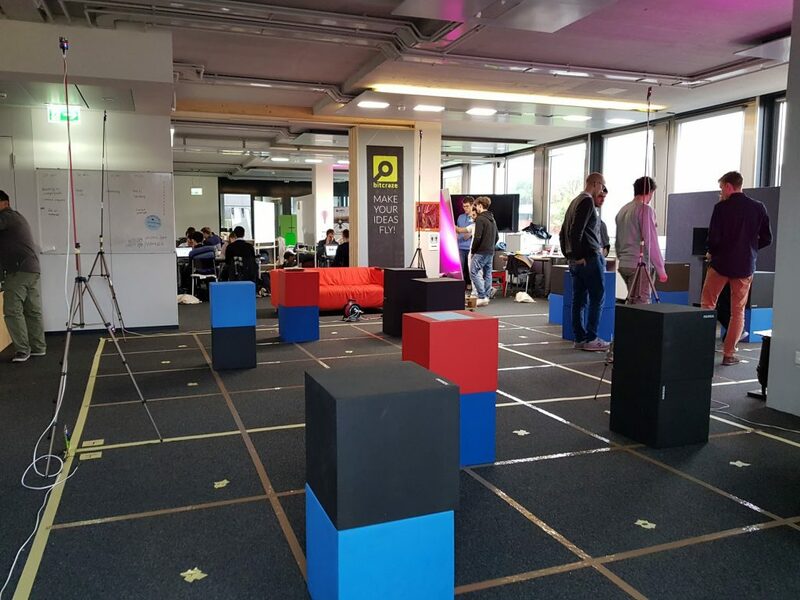 During the conference we took the opportunity to present the Loco positioning system and demo autonomous flight with the Crazyflie controlled by the Loco positioning system. In the demo we flew with the non-linear controller from Mike Hammer using trajectory generation from Marcus Greiff. We have had a few interesting blog post contributions during the year from major universities. Including a guest post written by researchers at Carnegie Mellon University. 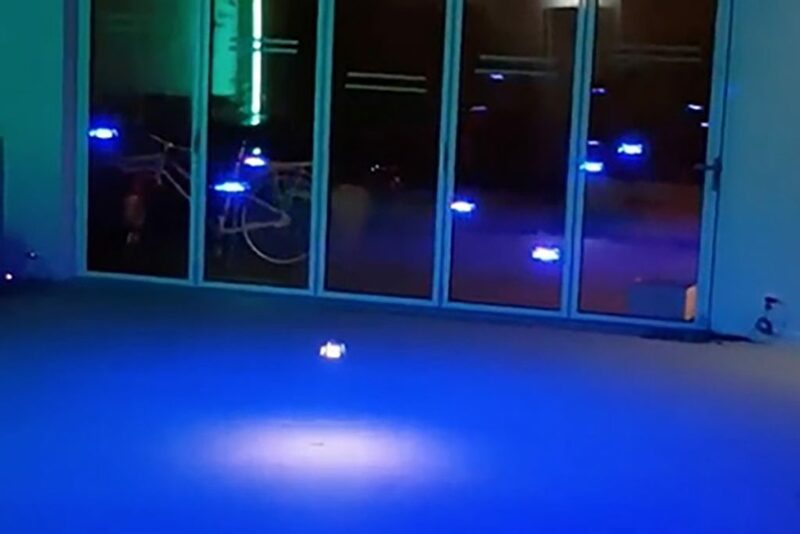 The researchers are using the Crazyflie 2.0 drone to create an adaptive multi-robot system. Similar work has been done by the researchers at the Computer Science and Artificial Intelligence Lab at MIT were they have been studying coordination of multiple robots, developing multi-robot path planning for a swarm of robots that can both fly and drive. 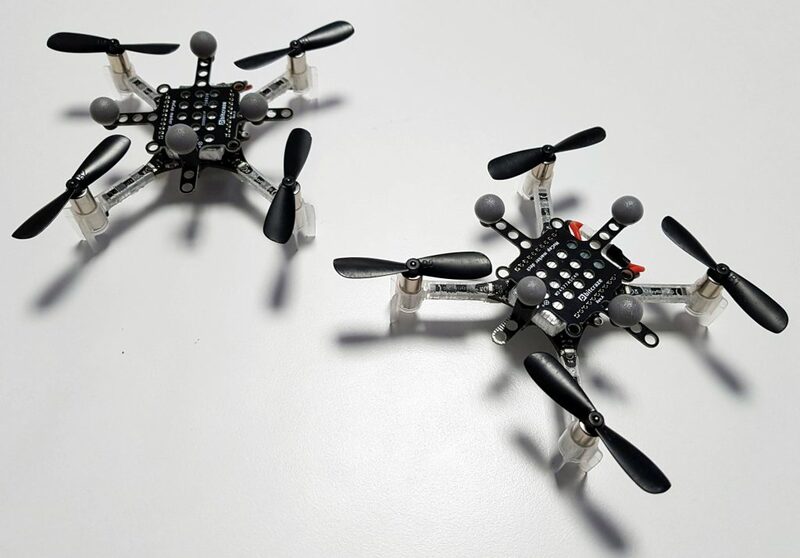 We have also had two interesting guest blog post from the GRASP Laboratory at University of Pennsylvania, the “A Flying Gripper based on Modular Robots” and “ModQuad – Self-Assemble Flying Structures“. Inspired by swarm behavior in nature, for instance how ants solve collective tasks, both projects explore the possibilities of how multiple Crazyflies can work together to perform different missions. During the fall Fred took the time to pay us a visit at the office in Sweden and worked together with us. He is making great progress on the Java Crazyflie lib that is going to be used in the Android client as well as in PC clients. It will allow to connect and use a Crazyflie from any Java program, there has already been some successful experimentation done using it from Processing. 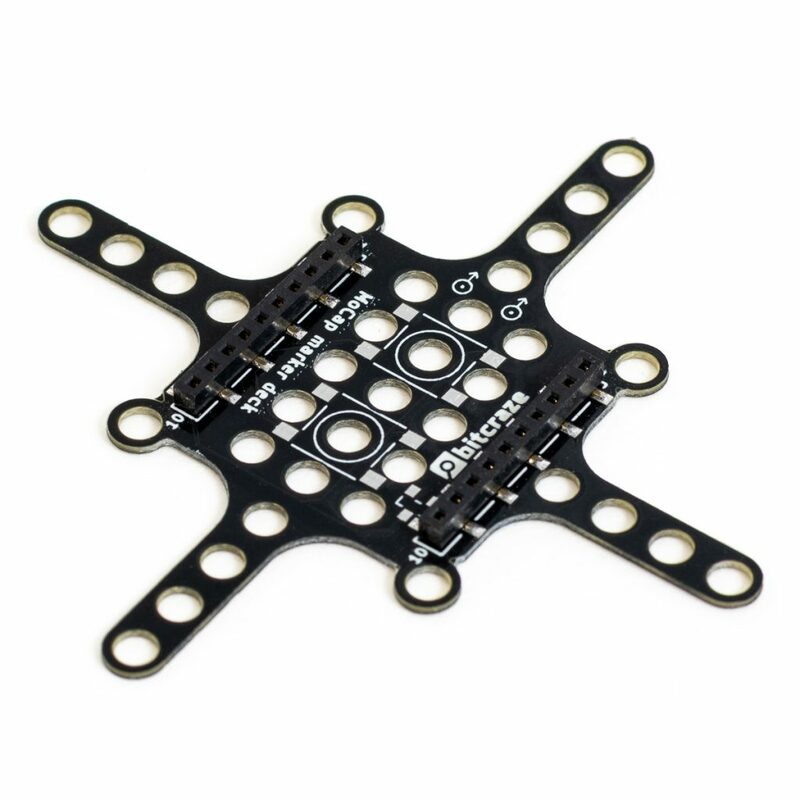 Some other great news is that thanks to Sean Kelly the Crazyflie 2.0 is now officially supported by the Betaflight flight controller firmware. 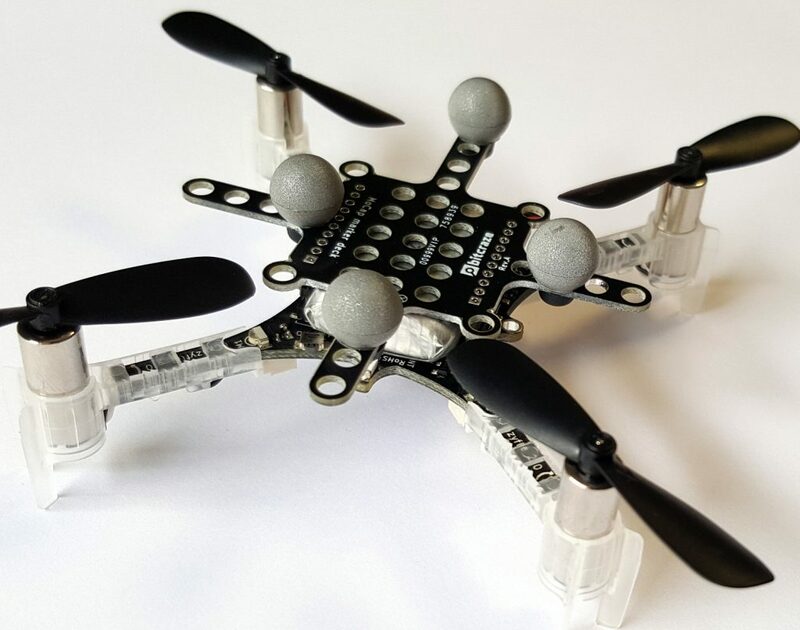 Betaflight is a flight controller firmware used a lot in the FPV and drone racing community. Thanks to denis on the forum, there is now support for Crazyflie 2.0 in the PX4 flight controller firmware. PX4 is a comprehensive flight controller firmware used in research and by the industry. Finally The Crazyswarm project, by Wolfgang Hoenig and James A. Preiss from USC ACTlab has been presented at ICRA 2017. It is a framework that allows to fly swarms of Crazyflie 2.0 using a motion capture system. There is currently some work done on merging the Crazyswarm project into the Crazyflie master branch, this will make it even easier to fly a swarm of Crazyflie. In the meantime the project is well documented and can be used by anyone that has a couple of Crazyflies and a motion capture system. During 2017 we released four new products. Beginning with the Micro SD-card deck which e.g. makes high speed logging possible. Then the Z-ranger that enables a height hold flight mode up to 1m above ground. We like to call it drone surfing as that is very much what it feels like when flying. 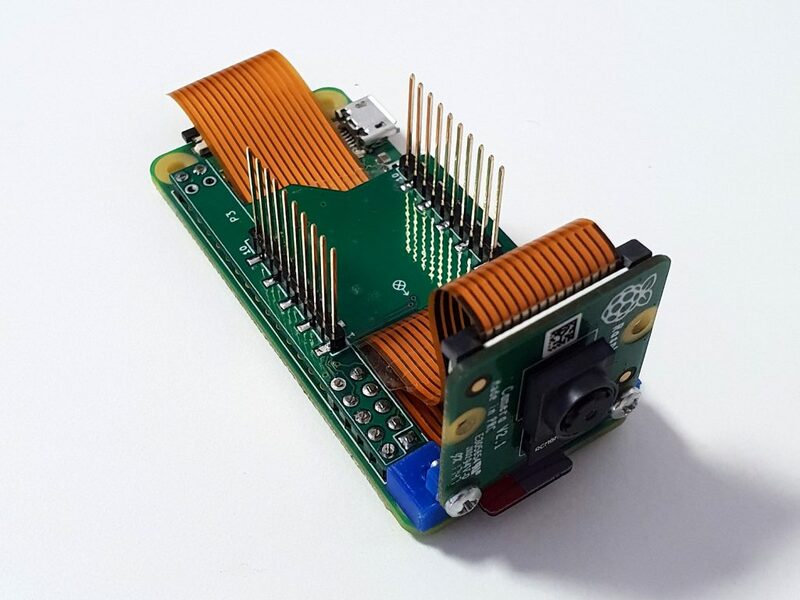 We ended by releasing two boards, Flow deck and Flow breakout, in collaboration with Pixart containing their new PMW3901 optical flow sensor. The Flow deck enables scriptable flight which is very exiting. That lead us to release the STEM drone bundle which we hope will inspire people to learn more about flying robotics. Hardware prototypes, our favorite sub-category, are something we have plenty of lying around here at the office. 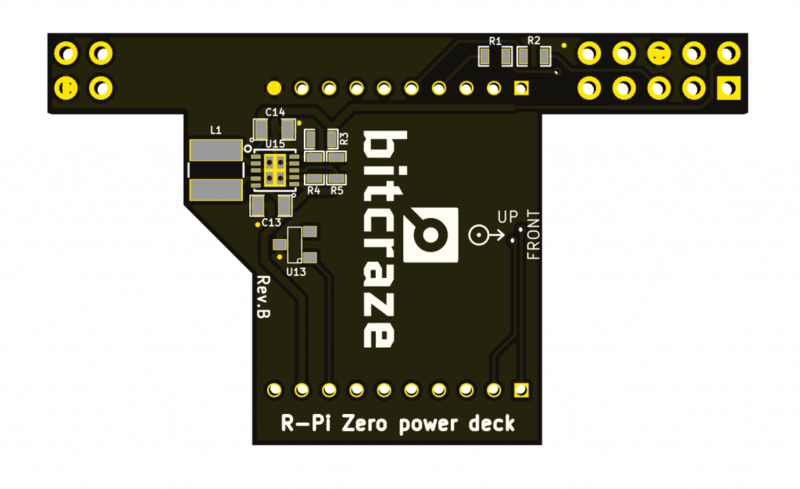 To name a few, a possible Crazyradio 2, the Loco positioning tag, the Crazyflie RZR, the Glow deck or Obstacle avoidance/SLAM deck. It takes a long time making a finished product… Hopefully we will see more of these during 2018! At the same time we released the Flow deck we also released the latest official Crazyflie 2.0 FW and client (2017.06). This enables autonomous capabilities as soon as the Flow deck is inserted by automatically turning on the corresponding functionality. Just before that, the loco positioning was brought out of early access with improved documentation and simplified setup. Since then a lot of work has been put into making a release of TDoA and improving overall easy of use. With the TDoA2 and automatic anchor estimation starting to work pretty well we should not be far from a new official release! We would like to end 2017 with a big thank you to our users and community with this compilation video. Make sure to pump up the volume!